NEW DELHI: If you have not been able to register on the GST Network within the deadline ending tomorrow, do not panic! There’s one more chance coming your way as the registration for existing excise, service tax and VAT payers will reopen on June 25. There are about 80 lakh excise, service tax and VAT assessees at present, of which 64.35 lakh have already migrated to the portal of GST Network — the company readying the IT backbone for the GST regime. The window for migration to the GSTN, which opened on June 1, will close tomorrow and during the fortnight, 4.35 lakh taxpayers have enrolled taking the total to 64.35 lakh. However, this is 80 per cent of the existing assessees. 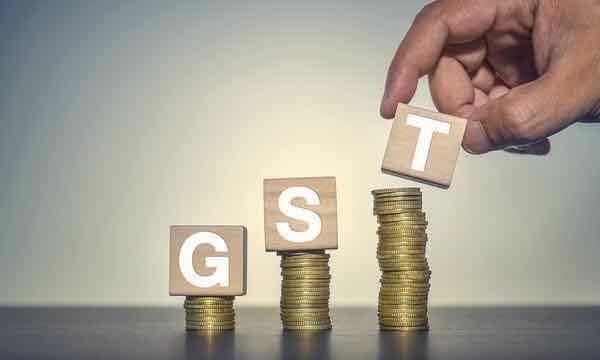 GSTN Chairman Navin Kumar sought to allay concerns of businesses who have not registered so far saying that the tax department is “obligated” to provide them smooth transition into the GST regime but traders should also come forward and complete the registration process by filling up the application form. “Whosoever wants to do business under GST and wants to migrate, we will provide facility to them even after June 15. From June 25, anyone who is left out now, can come and file information and migrate to GST,” Kumar told PTI. Registration with the GSTN is necessary for doing business in the Goods and Services Tax (GST) regime as businesses will have to upload monthly sales data as well as file return forms on this portal. “People should not panic. If you are left out, you will get another opportunity because the law says anybody who is registered under taxes which are subsumed under GST if they have a valid PAN then they will be given a valid registration. “So, it is the tax department’s obligation to give them provisional GST registration provided they have PAN. Therefore, even if they miss this window of June 15, they can come back on June 25,” Kumar added. However, GSTN is prodding taxpayers and has sent e-mails to over 30 lakh assesses who have not completed their registration process to make them ready by the scheduled rollout date of July 1. When a business registers under GST, it is given a provisional GSTIN. After that, in the second stage, the business has to log in to the GSTN portal and give details of its business, such as the main place of business, additional place of business, directors and bank account details. Kumar said of the 64.35 lakh assessees who have migrated into the GSTN portal, about 30 lakh have not completed the second stage of registration since they are having trouble uploading the digital signature or getting EVC. “What we are telling the businesses is if you do not complete the migration process you cannot issue invoices. In the e-mail, we have asked them to complete the registration by filling up the required documents and saving them on the portal. The GSTN will then e-mail them the Application Reference Number (ARN) after June 15,” he said. Businesses with turnover above Rs. 20 lakh have to register with the GSTN. Those with turnover below the threshold too have to register if they want to claim input tax credit. Kumar said not all assessees would migrate to the GSTN portal as businesses with turnover of up to Rs. 5 lakh are currently exempt from VAT. Since in GST up to Rs. 20 lakh turnover is exempt, so all of the VAT assessees would not migrate to the GSTN. However, if they supplying to other businesses or if they want to pass on credit, then registration of business would be required. Till April 30, around 60 lakh taxpayers out of a total of 80 lakh, had migrated to the new payment portal of GSTN. The tally has now gone up to 64.35 lakh. The process of migration of existing assessees to the GSTN had started in a phased manner from November 2016. The Centre had earlier set March 31 as the migration deadline, which was later extended to April 30. Last week, Prime Minister Narendra Modi reviewed the IT and other preparedness for the rollout of GST from July 1 and said it will be “a turning point” in the country’s economy. He had directed the officials that maximum attention be paid to cyber-security in IT systems linked to the GST.